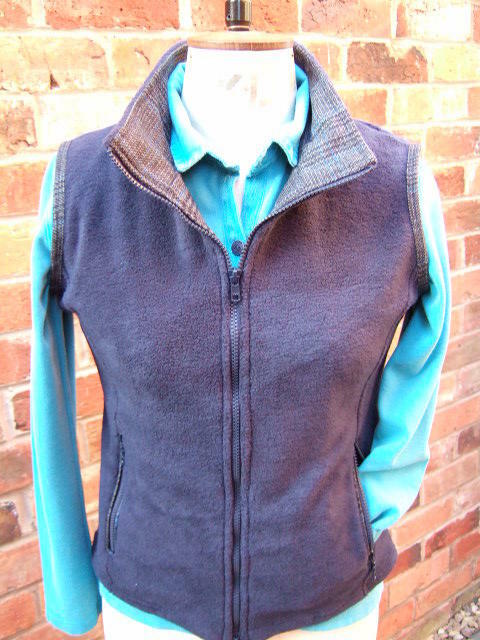 Shaped Gilet with a two way zip front and pockets in a mid-weight fleece. Trimmed with our finest tweeds. Long rear panel with curved bottom to keep your back warm. Neck line dips out to prevent zip rub and allow a scarf in winter. Two zip pockets for phone,keys &wallet. We call it the 365! Gilet as you will wear it everyday. 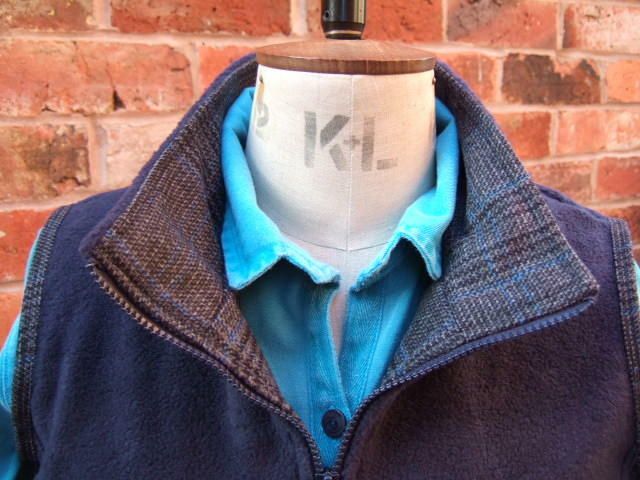 The shape allows for a nice comfort fit under another jacket in the Winter (Layers for warmth).